We are an experienced, inventive and creative team, consisting of photographers, designers, stylists, make-up artists, marketing experts, goldfish and frogs. Capturing extraordinary moments, in either natural or dramatic manner, is close to our hearts. Are you looking for a team with innovative ideas? Or are you looking for silence, nature or adventure? Then we are your counterpart! We offer (almost) anything. For wishes beyond our possibilities, we can set you up with our excellent network of partners. Or just rent our PHOTO STUDIO - available for movie or photography productions and events. 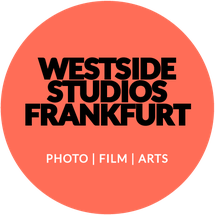 Our goal is to provide you with the best possible rental studio in an easily accessible location in Frankfurt/Main. Enjoy browsing our website and get inspired. Come to visit us and we will discuss and plan your project with you.